Rep. Dana Rohrabacher, R-Huntington Beach, has taken a long, strange journey to veteran status in the U.S. House of Representatives, where he could soon be heading the House Committee on Science and Technology. He’s campaigning for easy re-election in the heavily gerrymandered 45th Congressional District, which snakes along well-off coastal areas from Costa Mesa and Huntington Beach up to Rancho Palos Verdes. Stopping by the Orange County Register for a editorial board meeting recently, he touched on many issues, foreign and domestic, including several raised by me. He has been known as the “Surfer Congressman” because of his love for riding the the board since he was a child growing up here in California’s Golden Age in the 1960s. Back in those heady days he was a near-anarchist politically. In the 1970s, he became an editorial writer at the Register. He told me he still surfs every morning he’s in California. And he said his view of the world changed six years ago when his wife gave birth to triplets. Dana, as everybody calls him, said that the neighboring congressional race in the 47th District, pitting incumbent Democrat Loretta Sanchez against Republican challenger Assemblyman Van Tran, “is the race to watch” nationally. “If we win there, we will likely take over the House” of Representatives. “This is the quintessential district that was Republican here” until Sanchez won it in 1996, beating incumbent Republican Bob Dornan, who spent much of the year out of the district on a quixotic campaign for president. “The Asian community and blue-collar Democrats are potential Republican voters” that could win the district for Tran, Dana said. He said that, if Republicans do take over the House, when their new majority is seated in January they will gain “subpoena and hearing” powers to investigate the administration of President Obama. “The corrupt Chicago machine will be held accountable,” he promised. The congressman’s fears are real. Famed forecaster Gerald Celente for a year has been predicting the rise of a “Progressive-Libertarian” third party to respond to the failures of the two major parties to solve America’s problems. Rohrabacher has been in the forefront of building the legal structure for private space exploration, such as his proposal for “zero gravity, zero tax,” under which any profits made outside the earth’s gravitational pull are tax free. 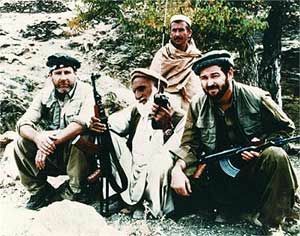 Both in the White House and Congress, in the 1980s Rohrabacher was a major backer of the Afghan “freedom fighters” as they kicked the Soviets out of that country. Some of the “freedom fighters” then became the Taliban, whom the U.S. now is fighting. Although Dana initially supported the American wars in both Afghanistan and Iraq, he since has become skeptical, putting himself at odds with most of his GOP colleagues (as well as with Commander-in-Chief Obama). Yes, there are snowballs in hell. I rise in support of amendments 4 and 5. I do so with a heavy heart, as I deeply appreciate the Americans whose lives are in danger in Afghanistan. They are there to protect us against the radical forces of Islam, which used Afghanistan as a base of operations that led to the slaughter of 3,000 Americans on 9/11, which is almost 9 years ago. After that vicious attack on our civilian population, yes, we cannot let down our guard. However, that does not mean rubberstamping any military operation, even if it does not have a chance of success. I have been engaged in Afghanistan since the 1980s, and I can state emphatically that if we continue our present strategy in Afghanistan, we will not succeed, and America will eventually be weakened by loss of lives and the expenditures of hundreds of billions of dollars. What works in Afghanistan is what has worked in Afghanistan: Let the Afghans pay the price. Let them do their fighting. Putting American boys in their place is contrary to our national interests, and will not lead to success. Trying to foist upon the Afghan people a corrupt centralized government in Kabul will not work. We need to change strategy instead of putting our people into a meat grinder in the place of Afghans themselves. Congress recessed to campaign for the election without passing a budget for fiscal year 2010-11, which already began on Oct. 1. Unless the lame-duck Democratic Congress passes tax reform before the year ends, taxes will rise sharply on January 1, not just on the rich, but on almost everybody. Dana is optimistic that the new group of “Tea Party”-backed Republicans that will take office in January — assuming Republicans take over the House — will be a major force for cutting taxes. On the statewide races, he said that Meg Whitman and Carly Fiornia “both represent candidates that are better than the Democratic alternative. They both have a shot to win. Both know what they are getting into. They’re coming at this from a different approach than Arnold” Schwarzenegger, the outgoing, putatively Republican governor. Like a lot of us, he has regrets over the 2003 recall of Democratic Gov. Gray Davis. “I supported Arnold in the recall,” he said of Gov. Schwarzenegger, who won the replacement election during the recall. “It would have been better to let Gray Davis stay in, and let the Democrats take control. Republicans haven’t had any power” in California’s state government “for at least 10 years. If Davis had stayed in office, by now Californians would be ready to turn to a Republican” for governor. John Seiler, an editorial writer with The Orange County Register for 20 years, is a reporter and analyst for CalWatchDog.com. His email: [email protected]. OMG, I agree with Rohrbacher on something. The snow is falling in San Diego! And I agree with StevefromSacto! It’s a harmonic convergence! Dana in charge of the Science Committee would be an excellent move — it’s something he’s coveted and he’s well versed in the issues. ANY scrutiny he could bring on the global warming fraud, especially in California, would be appropriate and welcome — particularly if the Committee and the GOP had any power to combat AB32 at the federal level (not unlike Obama’s war against Arizona). It’s worth a try and an issue he could readily handle. Fwiw, he’s also got Long Beach Harbor in the 46th which is being strangled by clean air regulation (especially the truckers being forced out of business which he’s already dealing with). I hate to be a “me too.” It sounds so much like a love fest. But I do! I agree! I love reading these words. May his ideas on the direction Republicans should adapt and follow on policy prevail. I would sleep better knowing that the future for my sons shone with brighter possibilities than are forebode in this current political and economic trajectory we follow. By electing Brown and Boxer, the California Democratics will have to solve the fiscal disaster they have created. I don’t think they can do it until California becomes another Greece.